Celebrating among friends? 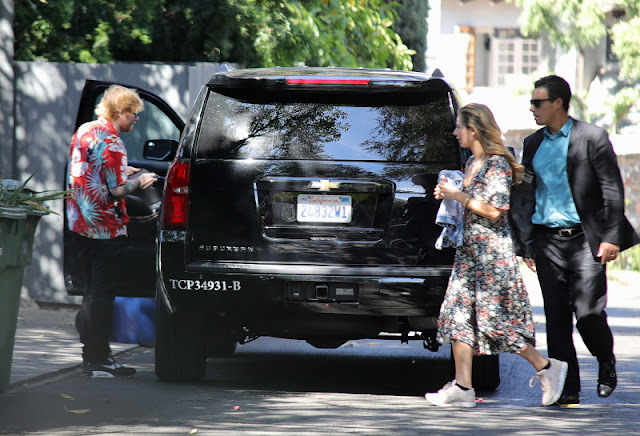 Ed Sheeran and Cherry Seaborn were spotted on a double date with Courteney Cox one day after the pair sparked wedding rumors. The trio dined at Giorgio Baldi in Los Angeles on Tuesday, August 28, along with Cox’s fiancé, Johnny McDaid. Sheeran, 27, sported a red Hawaiian print shirt and black pants for the outing, with the silver band noticeably displayed on his ring finger. Meanwhile, Seaborn donned a cute floral dress, sneakers and her sparkling engagement ring. The 26-year-old was not wearing a wedding band.